Most Kueh Bangkit (coconut) cookies tend to be too sweet or powdery, but the ones from Kim Choo in Joo Chiat are just right. 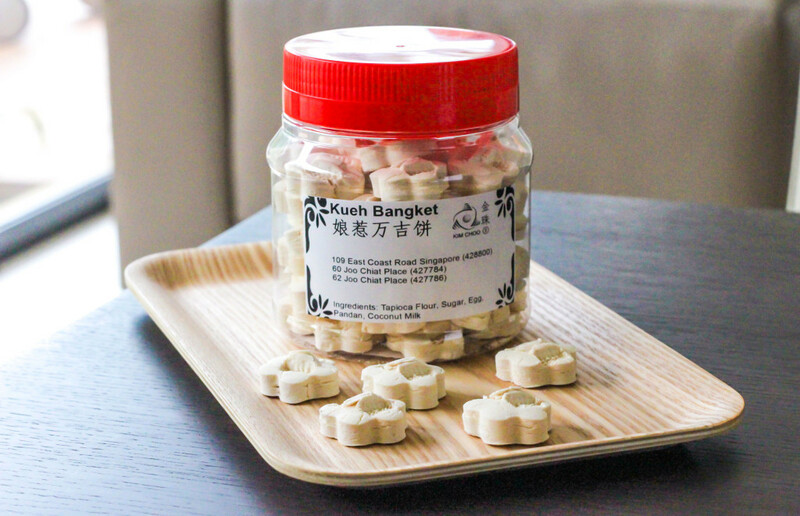 These tiny white cookies may look relatively nondescript, but they melt in your mouth. Trust us, you won’t be able to stop once you start. Kim Choo is located right across from 112 Katong shopping mall, and they offer a large variety of Chinese New Year snacks – including Nyonya Kueh Kueh, Honey Cereal Crisps and of course, Pineapple Tarts. 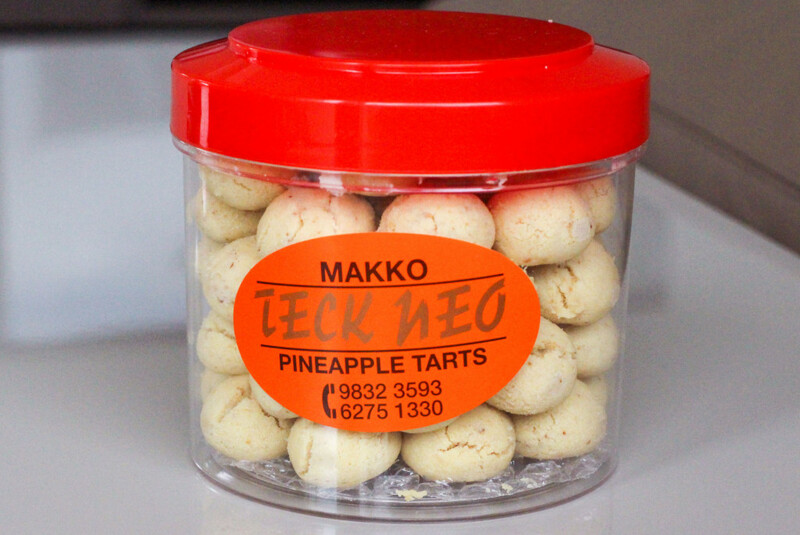 Teck Neo Tarts may be out of the way for some, but it’s a true hidden gem located among the flats at Telok Blangah Rise. The family-run business is known for their traditional Nyonya food, but it’s the Chinese New Year goodies that have us making the trek down there. The Sugee Cookies, in particular, are worth the effort (and calories) – rich, nutty and slightly salty in flavour. 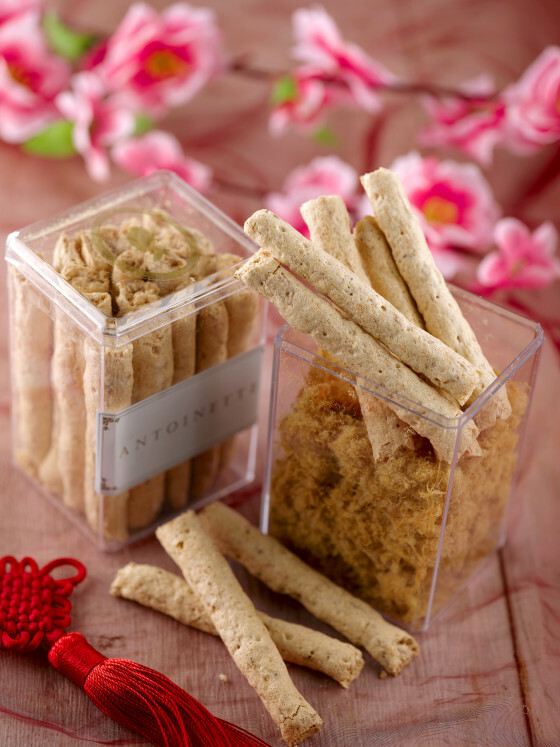 Almond Cookies usually get passed over for other more interesting Chinese New Year snacks, but don’t miss out on these from Joyous Pastries. The texture of each cookie is interesting, as it melts in your mouth but still has a crunchy bite to it. 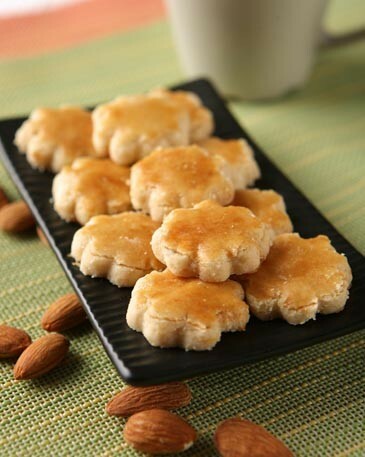 We also like how these Almond Cookies are not too sweet, but still packed with flavour and nutty goodness. Also, Joyous Pastries doesn’t use butter or eggs (except egg wash for colour) for these Almond Cookies, so they’re probably healthier than the usual ones. Or so you can tell yourself, after you’ve eaten five cookies in one sitting. FYI – the Tanjong Pagar outlet is closed on Sundays and Public Holidays, while the Ang Mo Kio outlet closes on Saturdays, Sundays and Public Holidays. Pineapple Tarts are probably the most well-known Chinese New Year snack, so it’s no surprise that there are multiple good ones out there. We like the ones from Crystal Jade, which provide a unique take on the classic favourite. 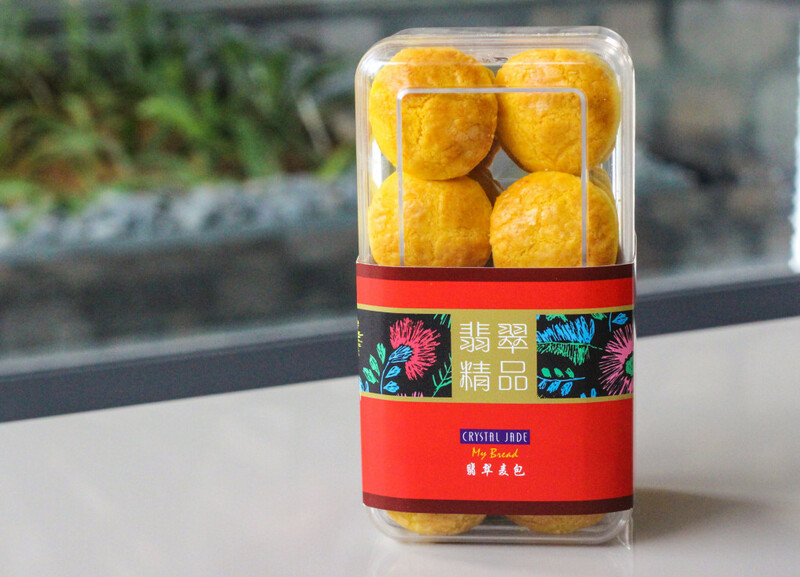 The Bo Lo Pineapple Tarts from Crystal Jade are a reinvented version of the popular Bo Lo Bao (Pineapple Bun) from Hong Kong – with the trademark crunchy and sugary crust encasing a pineapple jam centre. Oh, and we know they’re good but go easy on these OK? 4 pineapple tarts = 2 bowls of rice = TOO MANY CALORIES TO COUNT. If you’re more of a Pineapple Tart purist, try the Golfball Pineapple Tarts from LE Cafe Confectionery & Pastry instead. 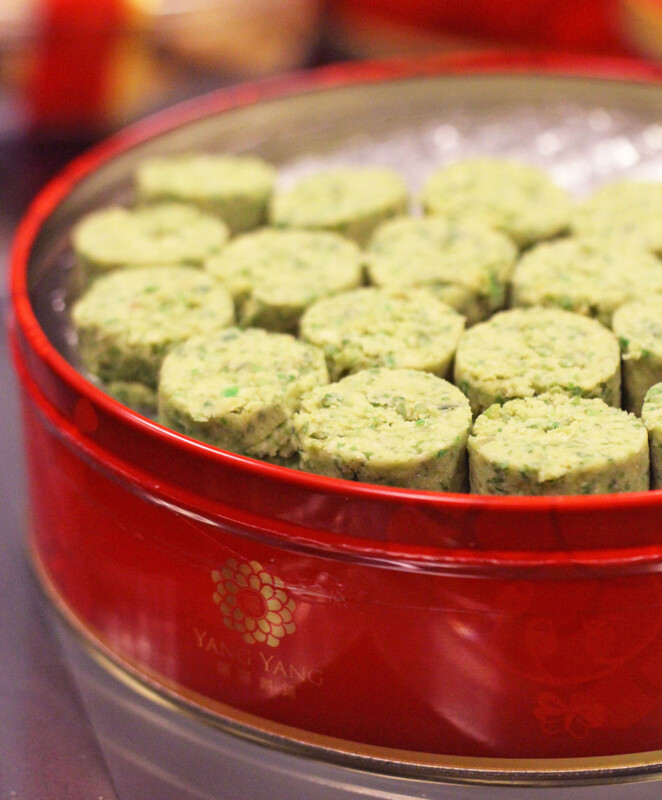 While these Green Pea Cookies may not look as Instagram-worthy as Pineapple Tarts, you’ll definitely want to try them. Some people may not take well to the idea of green peas (A vegetable? In my cookie? Never! ), but these cookies ironically taste better than their sugary counterparts. For starters, the Green Pea Cookies are not as sweet as traditional Sugee Cookies – a welcome change for those of us who’ve had one too many cookies for the day. The texture is similar to those of Sugee Cookies, but with a bit more crunch. Yang Yang doesn’t have a physical store front, but you can place your orders online. They will also be at the Chinese New Year fairs at Takashimaya B1 and VivoCity Level 1. If you decide to go all out, try the Peanut Cookies (tastes like peanut butter-flavoured Sugee Cookies) and the Cornflake Cookies. Trust French restaurant Antoinette to have a classy take on pork floss. Their Pork Floss Meringue are light, airy and flavourful rolls of sweet, salty and well, porky flavour. We like how these aren’t too heavy, especially since we’re going to be eating 5 sticks at one go. Although the Pork Floss Meringue is rather pricey (considering the box is quite small), they’ll definitely impress your guests. Egg Tarts are probably one of the most high calorie Chinese New Year snacks, so only having the best ones is of utmost importance. 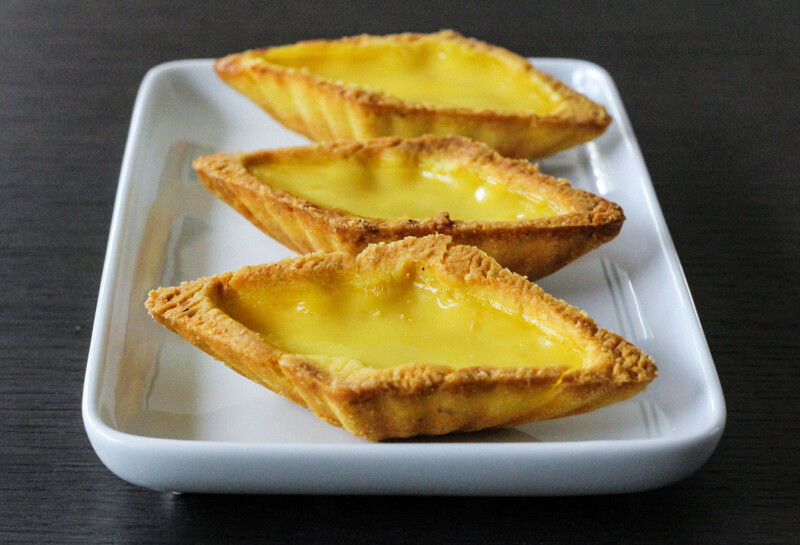 Because you wouldn’t want to waste your calories on a sub-par Egg Tart would you? The Diamond Egg Tarts at Ng Kim Lee Confectionery, we say, are worth the calories. Although the packaging is relatively no-frills (read: unceremoniously stacked into a white cardboard box, then chucked into a plastic bag), the Egg Tarts are as good – or even better – than the ones you get at fancy hotels. The biscuit crust is a nice change from the regular puff pastry kind, and we like how the filling is not too oily or eggy. Also, not sure if it’s just our imagination, but the diamond shape makes it easier to bite off a chunk without getting crumbs everywhere. OK, so this isn’t really a snack but it’s pretty amazing so we just had to put it in. Antoinette has reinvented traditional Yu Sheng with its Queen’s Yu Sheng – a grander, more opulent dessert version of the auspicious dish. 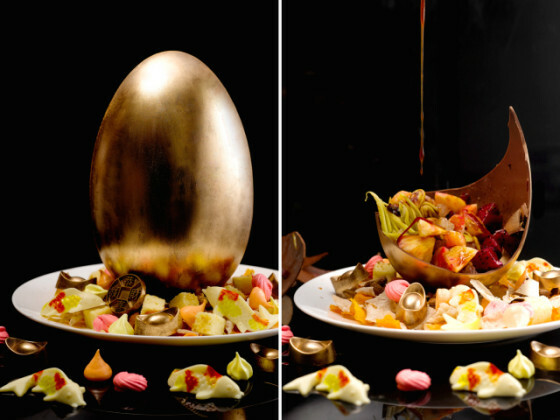 Encased in a large golden egg (which you get to break with a small mallet…are you sold yet? ), the Queen’s Yu Sheng contains a mix of tropical fruit (Pineapple, Dragon Fruit and Pomelo to name a few) with Mandarin Orange, Plum and Gula Melaka dressing. It may not be as auspicious as tossing Yu Sheng (and making a mess), but we think we like this dessert version much better.